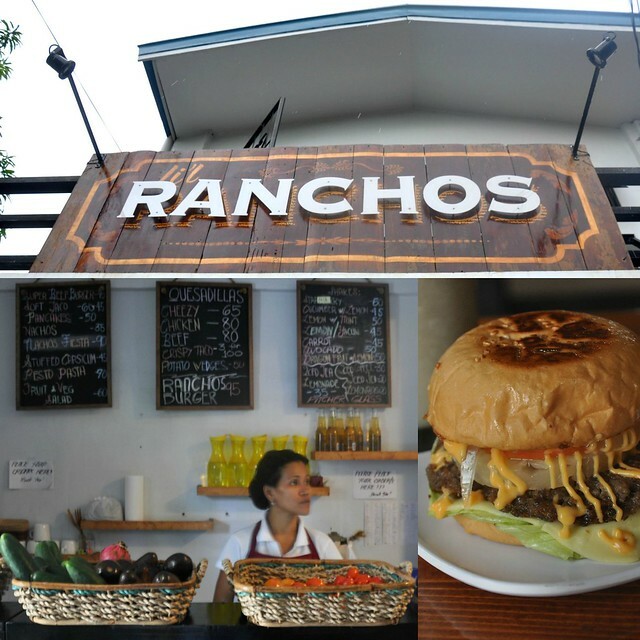 New on western Rizal Street, Li’l Ranchos is literally a little food spot turning up burgers and tacos. My first tasting was takeout stuffed bell peppers. But when Alex and I went to check out the place today, they were not available. 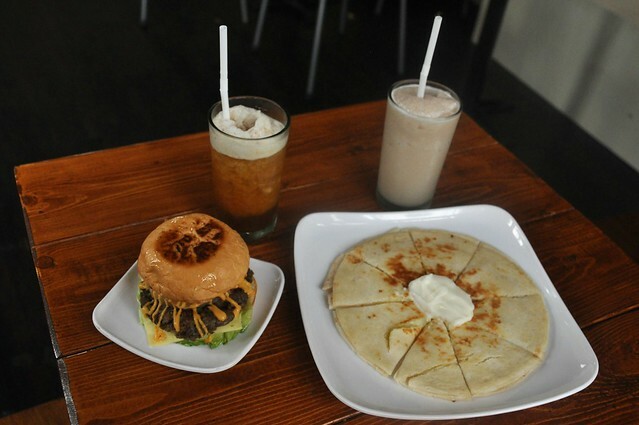 The staples: Burgers and pancakes among Filipino-style tacos, quesadillas and nachos. 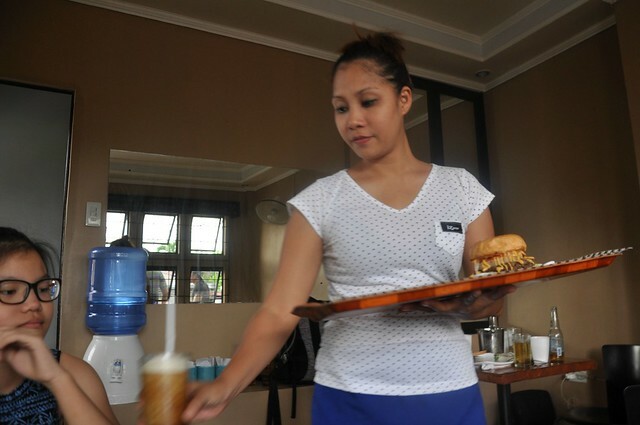 Rancho Burger, decked with cheese, bacon and pineapple, is only 95 pesos, and a plain burger called Super Beef Burger is 45. Glazed potatoes and pesto pasta are other options. The selection of fresh fruit shakes includes yacon, dragonfruit, avocado, strawberry, and lemon infused drinks. But they also offer beer. Prices are very affordable. I didn’t see anything above 100 pesos. 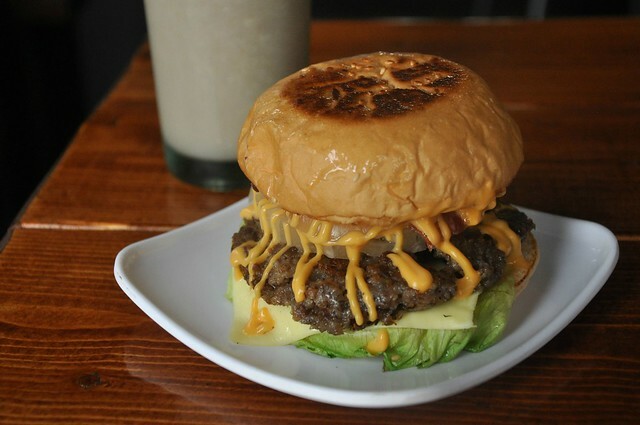 With its price, the burger was satisfying, but super messy to eat (you’ll need a bib, promise). The quesadilla, however, was incomplete. The tortillas were like thinned out pancakes and it came without salsa. The menu is more suited to the younger crowd.